Congratulations to Cody Thompson who received the Cody Kyzer scholarship award. This award is a $500 scholarship in memory of Cody Kyzer. Cody signed to play at USC Salk but lost his life in a tragic accident the same day he signed. 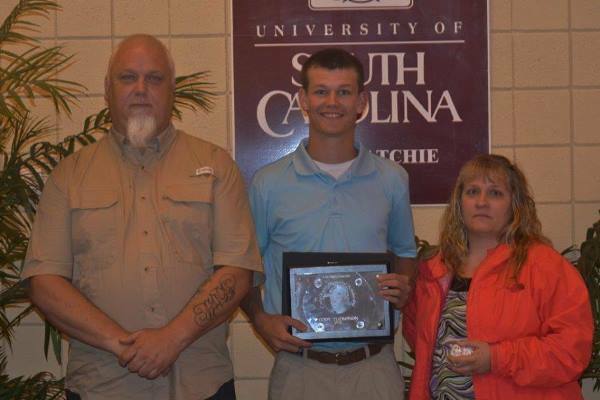 His parents give the scholarship to remember and honor Cody and to support USC Salkehatchie.